With Wild Apricot widgets, you can incorporate any Wild Apricot membership script into your existing website. To many, Wild Apricot is a great all-in-one solution for website hosting as well as managing members, events, invoices, newsletters, donations, and contacts. But what you might not know is that you can integrate these features into your existing website using widgets! For many organizations, their static, non-interactive website has been live since long before they decided to integrate some membership capabilities, and often they aren't ready to re-create their site in a new system. And even though Wild Apricot's website customization tools are becoming more advanced with every new release, sometimes an organization wishes to use another system to build their website -- Wordpress, Joomla, a custom solution, etc. -- but they don't want to miss out on Wild Apricot's back-end membership functions. "a stand-alone application that can be embedded into third party sites by any user on a page where they have rights of authorship (e.g. a webpage, blog, or profile on a social media site). Widgets allow users to turn personal content into dynamic web apps that can be shared on websites where the code can be installed." Wild Apricot offers widget scripts that are included in our backend system, and are able to be customized by altering the code. Let's take a look at a few Wild Apricot users who have used widgets in their existing websites. 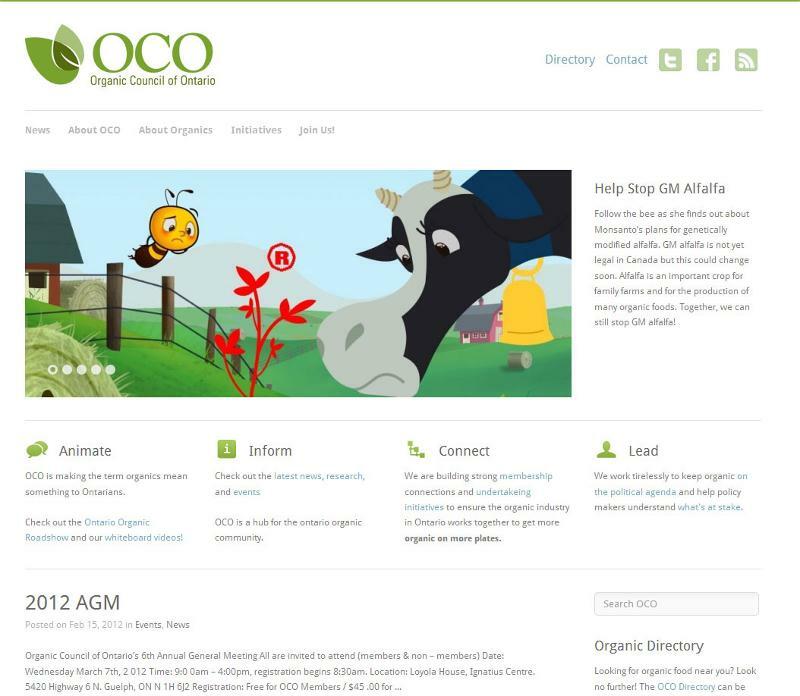 The Organic Council of Ontario have been using Wild Apricot since June 2011, and found widgets most helpful for incorporating membership functions into their newly designed website. They chose to use a web design firm to create their website -- one that's committed to social responsibility, and knows their sector well. "The ease of embedding the widget was definitely useful," mentioned Jacob Pries, Communications Coordinator, "It made it much easier and cheaper to have our website built, because we had pieces we could just plug in that were connected to our (Wild Apricot) database." Their brand new website incorporates their Wild Apricot membership application and membership directory. 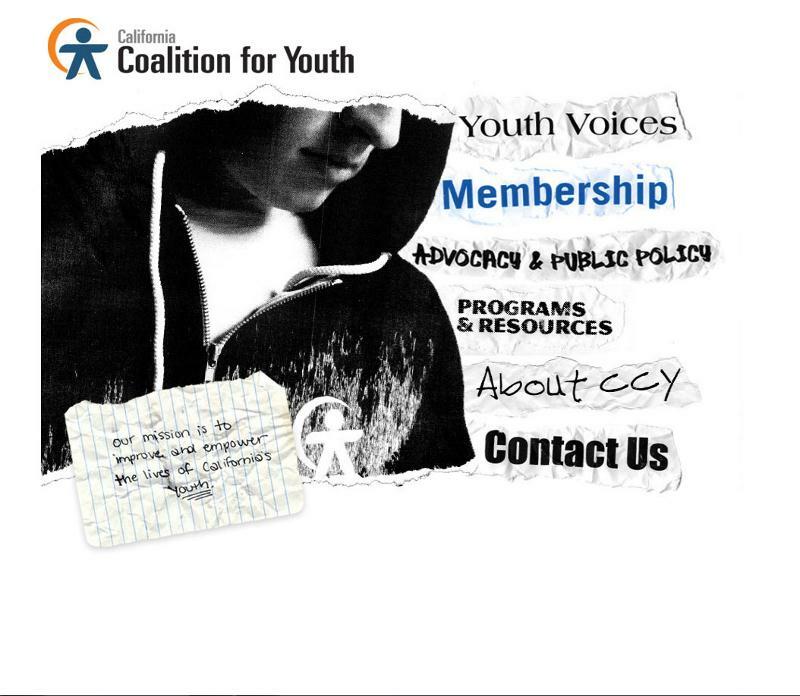 The California Coalition for Youth uses Wild Apricot within a Wordpress template. They contacted Wild Apricot's technical support team to assist them with resizing the widget so it would fit within their website. They're able to take membership applications online and provide a login for members from within their Wordpress website. There are over 25 USGBC Chapters using Wild Apricot for their membership management. 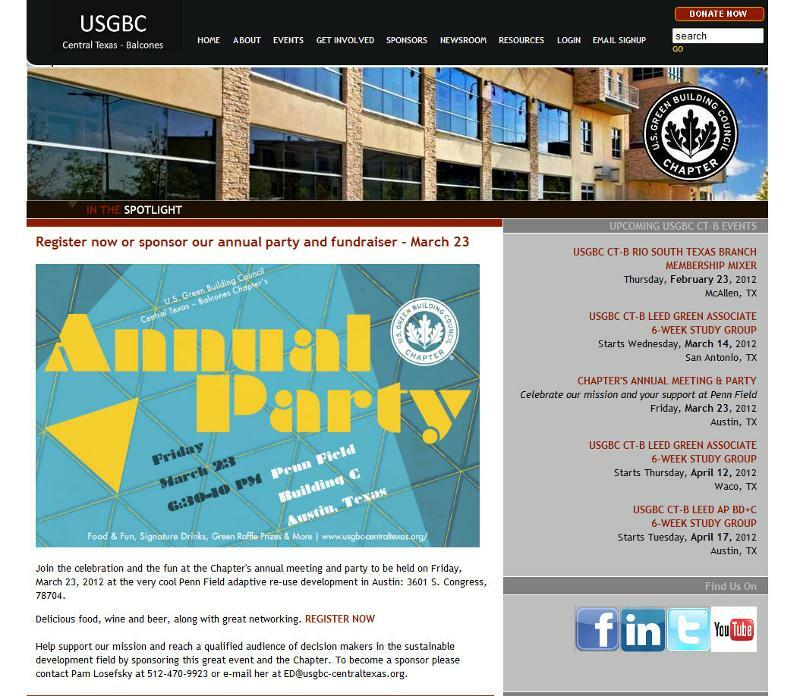 Some have built their websites using Wild Apricot's website builder; others, such as the Central Texas-Balcones Chapter, have integrated Wild Apricot widgets. They use widgets to manage their membership applications, events calendar and registrations, membership directory, donations, and also provide a secure login for their members. The Siouxland Community Health Center is another Wild Apricot customer that integrates membership widgets into Wordpress. According to their IT Manager, they really appreciate the ability to match the colors to their website, and was one of the easiest to implement of all the plug-ins they use on their site. Their Events Calendar and Donations features are both powered by Wild Apricot widgets. You can find Wild Apricot widget code in the backend of your system by going to Settings > Get Widgets Code. If you don't already have a Wild Apricot account, you can sign up for a free 30-day trial to see how this and other Wild Apricot features work. For more information on how to use Wild Apricot widgets, check out the article in our help documentation. If you'd like to see this feature in action, check out our special webinar covering this subject! Do you use Wild Apricot Widgets in your website? We'd love to add you to our showcase of client examples! Hi. I am located in Australia - can you tell me if these webinars are available at a later date or time? This is exactly the topic I am after! We'll be recording the webinar as it happens, so as long as we don't run into any glitches, we should have it posted on our site shortly after. Just looked for the recording of the WEBINAR: Using Wild Apricot Functionality in Your Existing Website. Not finding it... Please send me in the proper direction. That's the right area, but unfortunately we had a glitch when recording that webinar, so it's not posted. Until we run it again, you can check out the help documentation linked in the article - https://help.wildapricot.com/display/DOC/Widgets+-+integrating+Wild+Apricot+into+another+website - and contact our support team if you run into any questions.